On 12 October 2015, a 16-year-old youth from Tuqu’ was detained by Israeli soldiers at 2:30 a.m. He reports being deliberately attacked by a service dog in Etzion settlement. I woke up to the sound of banging at our front door at around 2:30 a.m. When my father opened the door Israeli soldiers asked for me. One of the soldiers told my father he was an intelligence officer. He gave my father a document saying they wanted to question me about throwing stones. The document did not say where I would be taken. The soldiers told me to get dressed and immediately took me to the back of a jeep where they tied my hands to the front with one plastic tie. The tie was very tight. They also blindfolded me and made me sit on the metal floor. There was another detainee on the floor. The soldiers then started to beat me all over my body. The jeep drove for about 15 minutes towards a nearby Israeli military base. I was taken to a courtyard where I sat on a chair until around 6:00 a.m. I was then taken to see a doctor who removed the tie and the blindfold and examined me. When he was done he tied me and blindfolded me again. Then I was taken back to the courtyard where I remained until around 3:00 p.m. I was very uncomfortable. I wasn’t given any food and I did not ask to use the toilet. Soldiers who went by swore at me in Hebrew. I was then taken to the back of a jeep where I sat on the floor again. The jeep drove for about 30 minutes towards the police station inside Etzion settlement. At Etzion I was put in a courtyard where I sat on the ground where I remained for about an hour. I was then taken for interrogation. The interrogator removed the tie and the blindfold. Before interrogating me he showed me a document that said I had the right to remain silent and the right to consult with a lawyer. He asked me for my father’s number and I gave it to him. The interrogator then accused me of throwing stones at soldiers. He showed me a picture of me standing with other boys at a demonstration but I wasn’t doing anything. When I denied the accusation the interrogator got angry and punched in the stomach and slapped and kicked me. He swore at me and called me son of a whore. I was interrogated me for about 15 minutes and then taken to a small room where I was tied and blindfolded. There were five other detainees in the room whom I didn’t know. He made me sit on the floor. Shortly afterwards a soldier walked into the room with a dog tied to a chain. The dog attacked us and we were all terrified and started to scream and shout but the dog continued to attack us. The dog attacked the person who was sitting next to me and that person lost consciousness. The dog then licked my face and then bit me on my back. I felt I was going to die. The dog tore the jacket I was wearing but did not bight my flesh. The soldier then left with the dog. I was then taken to hospital in an ambulance together with the other detainees who were attacked. I don’t know which hospital it was. The ambulance drove for about 30 minutes and I was still tied and blindfolded. I was taken to a room where the tie and the blindfold were removed. A doctor examined me and gave me some medication. I was then blindfolded and tied and taken back to Etzion. At Etzion I was put in a room with a metal bed where I remained for about one-and-a-half hours. I was then taken for a second round of interrogation. The interrogator removed the tie and the blindfold and interrogated me for about 15 minutes. He accused me of the same accusation and I continued to deny the accusations. The interrogator had a tape recorder in the room. He then printed out my statement in Hebrew and asked me to sign it. I signed it without understanding what it said. I was then photographed and fingerprinted and taken back to the other room. At around 11:00 p.m. I was transferred to Ofer prison. At Ofer I was strip searched and taken to the juvenile section. On Thursday, 15 October, I was taken to Ofer military court. A lawyer was in court. I was later told that my parents came to Ofer but they were not allowed into the court room. The hearing was adjourned till the following Monday. My parents attended the second hearing and I was allowed to speak to them. The military court decided to release me on bail. My parents had to pay NIS 1,000 in bail. My parents paid the money and I went home the following day. 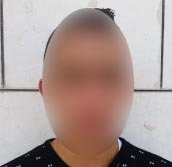 I was released from Ofer on 20 October 2015, at around 11:00 p.m. and my father was waiting for me outside the prison. We arrived home at around 1:00 a.m. I wasn’t given a date for the next hearing and I don’t know whether my file has been closed or not.